Cramer reflects on how the payroll number is causing head-scratching and also discusses Costco's numbers. Rarely has a nonfarm payroll number been harder to interpret than the one we got this morning. Payrolls fell hard because of the storms that hit Texas and Florida, but the rate of unemployment dropped to a 16-year low while average hourly earnings rose 0.5% month over month, the strongest gain since the Great Recession. The number caused a lot of heads to be scratched and, in kind of a bizarre oddity, has led to the buying of the highest-growth stocks, as if the payroll data indicated a real slowdown, which, because of the hurricanes, we know is not the case. No matter. The market's back in love with FANG and there's no dissuading nor sating the super-high-growth seekers. Why is this? I'm blaming the ETFs again. Thursday night, Costco (COST - Get Report) reported a number that looked terrific on the surface but the fretting about Amazon (AMZN - Get Report) was just too much for the company's shares. So Costco's stock gets hammered. That led to Amazon's stock roaring higher and it, as well as Netflix (NFLX - Get Report) , which announced a price increase Thursday, powered forward. It seems like the computer-generated traders then take up the rest of FANG and several of the cloud-based stocks, like a Service Now (NOW - Get Report) or a Workday (WDAY - Get Report) , then tag along for the ride. Does any of this make any sense? I don't know. Here's all I ask. The highest-valued stocks are making big moves and I want to be sure you know what you own and aren't blindly blundering into any of these stocks. I care not just because the market's been so strong of late, taking up a lot of stuff that's both good and bad. I care because the S&P's proprietary oscillator, the one that gauges how overbought we are, has finally crossed 5, a high level for this indicator, and that means we're likely to have a correction of some sort -- deep, shallow, whatever -- and I want to be sure you know to buy, not sell, what you own. And believe me, if you think it's OK to own a basket of stocks you don't know because that's somehow safer than owning one stock you don't know, then you are sorely mistaken. So be careful. The odds favor, at this point, a better, lower, later moment to buy. Originally published Oct. 6 at 2:11 p.m. ET. If you want to know the definition of how a price-to-earnings multiple shrinks for a stock, how we will pay less for fabulous sales and earnings, go listen to the Costco ( COST - Get Report) conference call from last night. Be prepared to give it a couple of hours -- it's 26 pages long -- but I will give you the CliffsNotes. Despite the incredibly strong, plus 5% comparable store sales, despite some of the best numbers I have seen in hard goods and soft goods, despite the incredibly positive store brand sales and the excellent sign-ups for cards, it's no longer enough. In fact, the only thing that matters to Costco shareholders and their analyst acolytes right now is Amazon (AMZN - Get Report) , made doubly pronounced by Amazon's purchase of Whole Foods. It's created an existential crisis on the call, one that is no longer answered by the "so our view is that we're fine" that Richard Galanti, the chief financial officer who ran the call, used as a response to one of the many contentious issues on the call, a moderating rate of sign-ups of late. So, let me give you the CliffsNotes version of the narrative here: Costco's appeal is dwindling as Amazon and others offer so much more online, including order ahead and pick up, something Costco's not doing. Costco is not appealing to millennials like other cohorts. Its customer base is aging -- 52 years old. And its treasure hunt/value/price bricks-and-mortar appeal, by nature, therefore, must go down, particularly when it is up against a store like Whole Foods, which is pretty much everywhere there is a Costco. Almost every question addressed the issue of why Costco isn't doing as well as it used to, even though, that's true, it's doing better. Almost every question had a tinge of Costco at the twilight, even as the numbers simply don't show that. It was like a funeral dirge as every analyst had his or her own way to ask about how Amazon is destroying the company, with the only comic belief being unwitting: Scott Mushkin from Wolfe Research saying he wanted to address the elephant in the room, which, of course, was the encroachment of Amazon on the business. When there is an elephant in the room, that's supposed to be the huge thing that's not addressed, but when every question is a veiled reference to the elephant, I don't think it's being hidden anywhere, or ignored or dismissed. So, there are two story lines here. First, the amazing numbers and loyalty of Costco people who still sign up for Costco cards like there is no tomorrow, spend like mad, even on things like apparel, where it has comped for three years at 9%, and love the high-margin signature brands and fresh food. And second, new member millennials renew at a lower rate, so it is only a matter of time before Costco goes by the way of everyone else in bricks and mortar, so why pay a premium multiple? The result? A stock that goes down on fabulous numbers, because it sells at 25 times earnings and investors simply won't pay a premium multiple that size if a company competes with Amazon. Those days are over, until Costco once again demonstrates that they are not. But you have to wait a full quarter for that to happen, and in the interim, you live in fear of the inevitable downgrades, as analysts decide they can't take the pain of defense anymore, even as Costco needs no defense because it is the best value merchandise on or off line that money can buy. Originally published Oct. 6 at 7:34 a.m. ET. 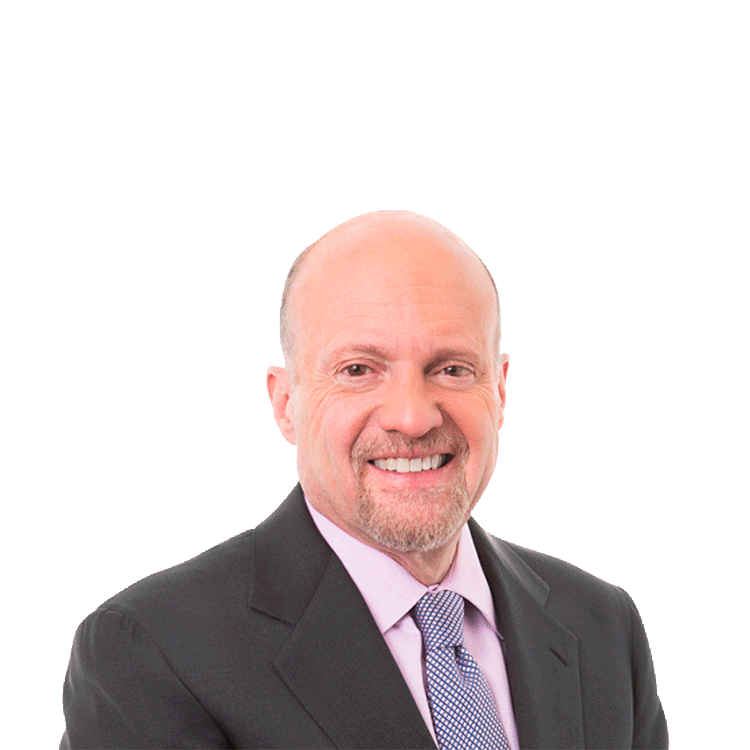 Action Alerts PLUS, which Jim Cramer co-manages, has no positions in the stocks mentioned.